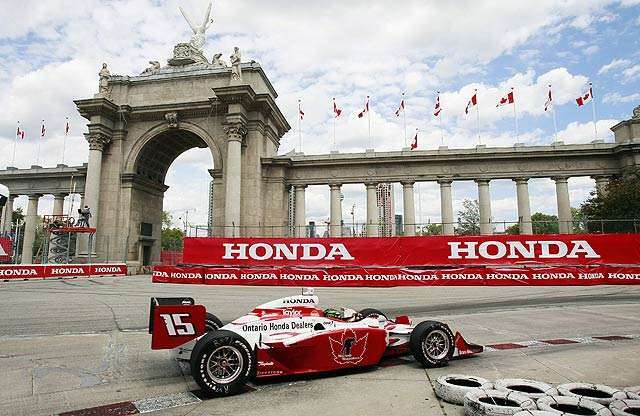 The C&C Girls are headed to the Honda Indy Toronto this weekend to take in the thrilling 3 days of speed at Exhibition Place. The Honda Indy is enjoyable for the entire family with numerous food vendors, dirt bikes, tire change challenges, go karts, kids zone, entertainment and more on top of the exciting different series that race on the bumpy, hot, and most challenging street course on the schedule. C&C Girl Jessie Sulidis, who is a former Miss Indy Canada 2004, is the MC for the Miss Honda Indy Grid Girl Search on Sunday July 14th. She will host the hour long show beginning at 11:30am in Victory Circle right at the race track. Be sure to come check out all the excitement as the girls compete to be crowned Miss Honda Indy and represent Toronto for the year. The three days of speed commences today Friday July 12th with qualifications and then the big dual races begin at 2:30pm on Saturday and Sunday! Let's see if Canada's favourites Alex Tagliani and James Hinchcliffe can give Toronto a podium finish.